GENEVA: An Italian train derailed in the central Swiss city of Lucerne on Wednesday and one carriage tipped over, authorities said. At least three people were injured. 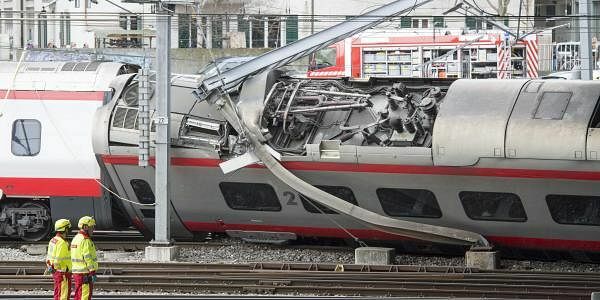 The train from Milan, Italy, to Basel derailed shortly before 2 p.m. as it was pulling out of Lucerne's main train station, Swiss railway company SBB said. Lucerne police said the passengers were evacuated and three people were given treatment. SBB said that train service to and from the station was suspended at least for the rest of the day.